Ever get the feeling that the more lip balm you use, the more you need it? Well there are multiple studies out there looking into just that: the chemical properties in some balms and chapsticks may help your lips initially, but strip them of natural moisture after a short time, causing you to need more. When choosing your teeth whitening technique, be sure you know all of the facts! Laser teeth whitening can be a problem, because while it is making your smile pearly white, it uses heat to open up the pores of your teeth. This results in sensitivity for a short while after the procedure, and your teeth being more prone to staining for the next few days. So while you're whitening, you may also be weakening - thus causing the need to whiten again not long after. While face washes with benzoyl peroxide in them can be great for clearing up your skin, they work primarily because your skin latches on to that chemical. If you've used one of these washes, you've probably experienced a major skin flare up if you accidentally skipped a few days of the special wash. That's because your skin essentially is addicted to the benzoyl peroxide element. People use mouthwash for a multitude of reasons: one primary one is to clean parts of your mouth your brushing doesn't reach, and freshen your breath. Well buyer beware, because mouthwashes with alcohol can do the absolute opposite. Alcohol in your mouthwash strips the mucous layer from your mouth (your body's natural defense), and in doing so puts your teeth and gums at risk of bacterial attack, and in drying out your mouth causes your breath to go bad faster than if you'd not used the wash. So choose carefully: one without alcohol will make a huge difference. These may seem like an easy remedy to your weight woes, but be forewarned that they're not as innocent as you might think. Some diet pills contain Phentremine, a chemical with effects very similar to that of cocaine. It heightens your energy level, suppresses your appetite, and can give you a mild feeling of euphoria. All sounds good right? Well, when you stop taking these pills, you're at risk of symptoms of withdrawl similar to those of cocaine. NOT fun. I think sticking to eating healthy and lots of exercise is the way to go. We all have our favorite products that we're just addicted to, but did you know that sometimes there are items you use every day that you might be literally addicted to? There are substances in certain beauty products that are great for curing certain beauty woes, but can also be addictive for your skin. 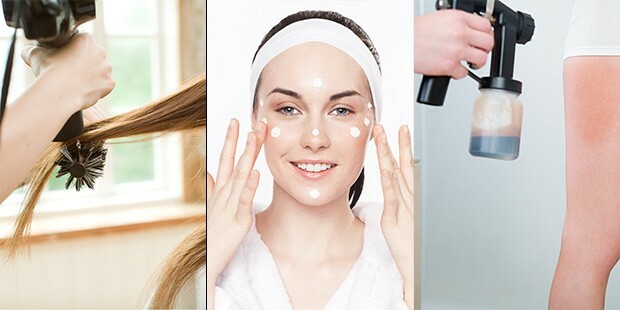 For example, have you ever tried an acne-fighting face wash, and the second you stop using it your skin goes haywire? How about that sneaky feeling that the more you use lip balm, the more you need it? Click through the gallery above to see some of the most addictive beauty products out there!